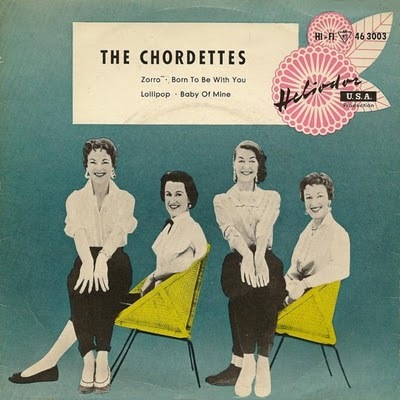 Born To Be With You was an American top 5 single for The Chordettes in 1956. A largely forgotten piece of bobbysox balladeering, it’s a proto doo wop, proto girl group paen to a just-out-of-reach romance, all minor key melodrama and vocal harmonies. It was quite clearly an influence on the young Phil Spector a few years later. A few short calendar years maybe, but it might as well have been several lightyears, given what happened in the intervening years betwixt and between The Chordettes and the golden touch of Phil Spector. 1956 was Year Zero for rock ‘n roll. The year that Elvis and his gyrating pelvis appeared on television screens with the dual effect of horrifying the moral majority of Americans whilst galvanising youths everywhere into action. John Lennon said that. And after Elvis there was everything. I’ll say that. Firstly, Tin Pan Alley songwriters and their ‘moon in June‘ blandfest of lyrics were given a huge boot up the arse and out the door. As they were leaving, in came bands who played their own instruments, wrote their own songs, presented themselves as a gang and dressed accordingly. In a few short years, the thrill of rock ‘n roll and all its attendant detritus was well in motion. But you knew that already. Spector’s influence reached far and wide, as far even as that hotbed of rock action, south Wales. 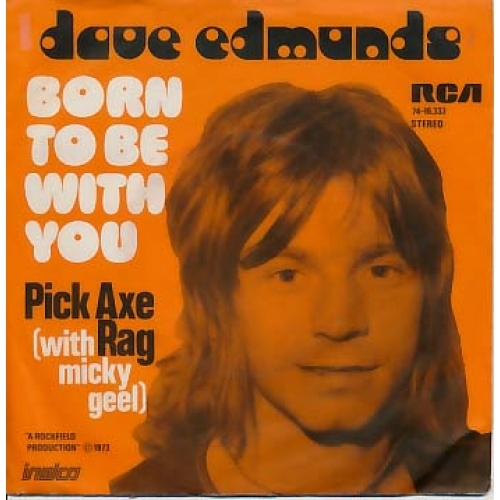 In 1973, following the huge success of I Hear You Knocking (a favourite of John Lennon, coincidentally), and after a part in David Essex’s Stardust, Dave Edmunds combined his love of early 50s rock ‘n roll with the technique of Phil Spector and produced his own version of The Chordettes’ Born To Be With You. It’s terrific! A wall of 12 string guitars, stratosphere-scraping vocals and galloping, clattering rat-ticky-tat percussion. It’s measured. Precise. Perfect. By the time the brass ‘n slide guitar part comes soaring in, you’ll already have convinced yourself this is the best record you’ve heard all year. Someone like Glasvegas could waltz in and do it in the same style and make it sound even huger. “Coz ah wiz borrrrn…tae be wi’ yooo!” But for the moment, content yourself with Dave Edmund’s 40-year old version. I think you’ll like it a lot. Q. 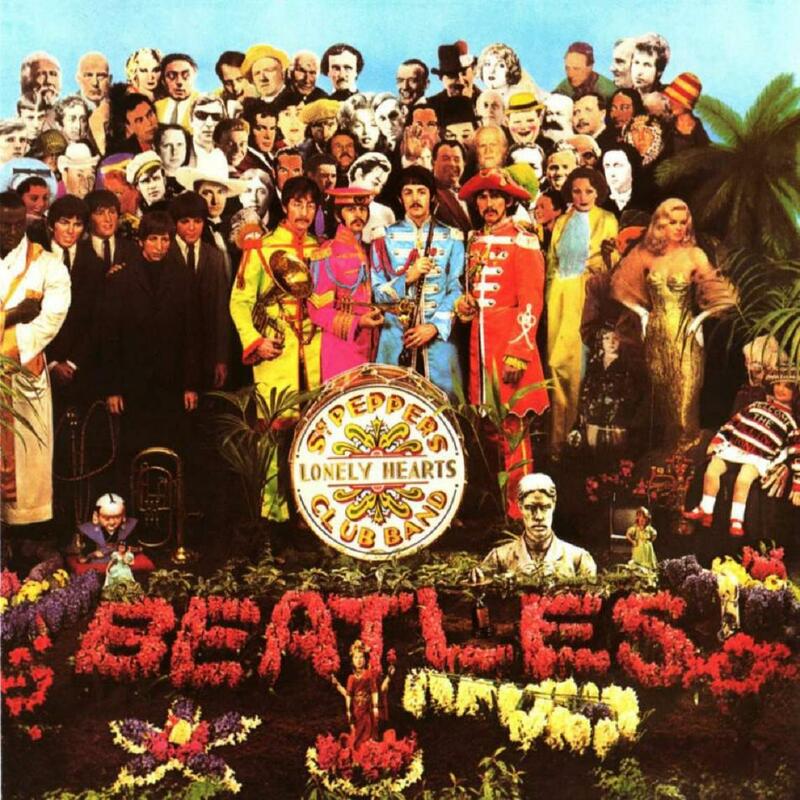 Aside from The Beatles, name the only other rock/pop artists on the cover of the Sgt Peppers LP. A. Bob Dylan (top right, back row) and Dion (7th from left, 2nd back row. Just next to Tony Curtis and behind a wee bit from Oscar Wilde). Dylan you’ve probably heard of. Dion too, for that matter. Dion was a duh-duh-duh-d’-duh-duh duh dude. His rasping, doo-wopping Noo Yoik Bronx vocal created monster hits. The Wanderer. Runaround Sue. A Teenager In Love. I’m sure you’re singing them now, ingrained as they are in the very fabric of rock ‘n roll. Dion was also the Marti Pellow of his day – pop idol on the outside whilst rattling to the bones with heroin on the inside. When the hits dried up, Dion found himself label-less, friendless and definitely down and out in New York City. Following a religious epiphany (c’mon! what did you expect?!?) 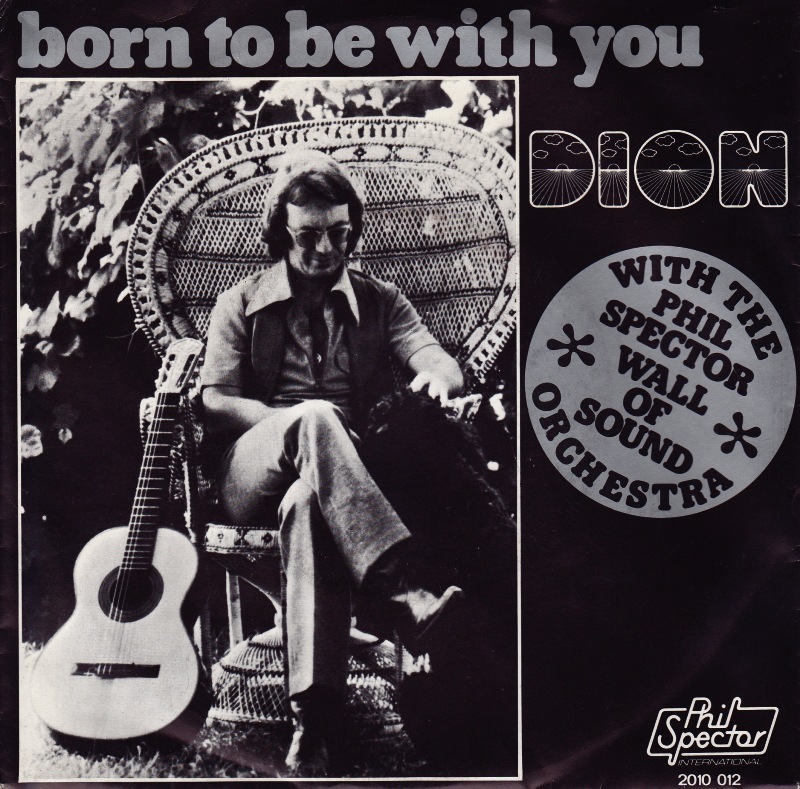 and subsequently ditching the drugs, 1975 found Dion working with Phil Spector on his own version of Born To Be With You. Ironically, it’s less Spectorish than Edmunds’ rollin’ and tumblin’ version. Dion’s is downbeat, introspective and melancholy, sounding exactly like the kind of record an artist makes when they know they’re in the last chance saloon; measured (again) and majestic. At just short of 7 minutes, it’s something of an epic. Jason Pierce of Spiritualized is said to be a huge fan of this record, which makes perfect sense. It’s almost Spiritualized in template, with it’s steady, pulsing riff and inter-woven sax breaks. And the background drugs story was no doubt the icing on the cake for our Jason. Good records. That’s what they are. Play them. Enjoy them. Pass it on.